Eighteen countries. Five shock absorbers. Two bikers. 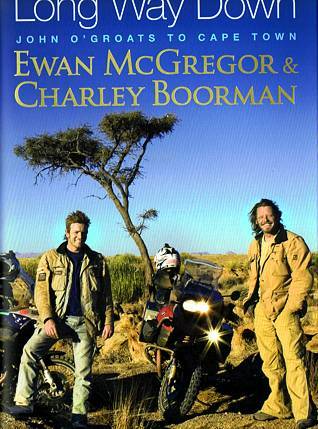 One amazing adventure…..
After their fantastic trip around the world in 2004, fellow actors & bike enthusiasts Ewan McGregor & Charley Boorman couldn’t shake the travel bug. Inspired by their UNICEF visits to Africa, they knew they had to go back & experience this extraordinary continent in more depth. And so they set off on their 15,000-mile journey with two new BMWs loaded up for the trip. Joining up with producer/directors Russ Malkin & David Alexanian and the Long Way Round team, their route took them from John O’ Groats at the northernmost tip of Scotland to Cape Algulhas on the southernmost tip of South Africa. Along the way they rode some of the toughest terrain in the world – and met some of the friendliest people. They rode their bikes right up to the pyramids in Egypt & visited Luke Skywalker’s house in Tunisia. They met people who had triumphed over terrifying experiences – former child soldiers in Uganda and mine-affected children in Ethiopia. They had a close encounter with a family of gorillas in Rwanda and were nearly trampled by elephants in Botswana. Riding through spectacular scenery, often in extreme temperatures, Ewan & Charley faced their hardest challenges yet. With their trademark humour & honesty they tell their story – the drama, the dangers and the sheer exhileration of riding together again, through a continent filled with magic & wonder.